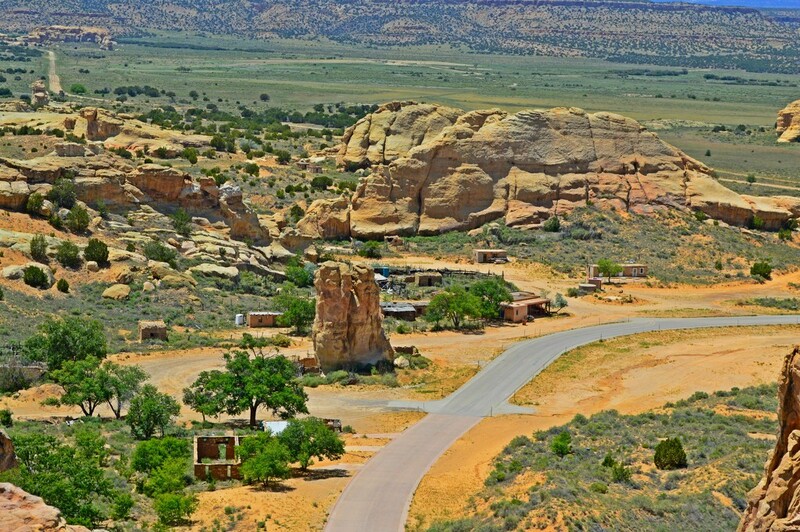 This is from atop the mesa, taken within the village there looking back toward the Visitor Center from yesterday's post. There is a lot to study in the picture from corrals to old homes with no roofs. very unique to the southwest. Fabulous scene and POV. Its a whole nutha world from what I know. Great vantage point for the shot! Lovely tones and textures. Wonderful scenery - I can hear the spaghetti western music playing. Incredible scenery! Thanks for sharing so much beauty with us, Jane! I expect to see a cowboy riding across the plain. Lovely view. They really blend with the landscape, don't they? I tried to find Ricky's "pothead", but couldn't locate her - is she visible from this angle? @dbj_365 She is around the bend to the right.